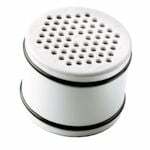 The Culligan Shower Head Filter with Massage (WSH-C125) is a shower filter that reduces chlorine and other contaminants from your shower water. 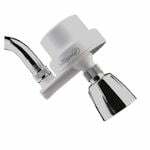 This shower head water filter installs on any standard 1/2" threaded shower arm. 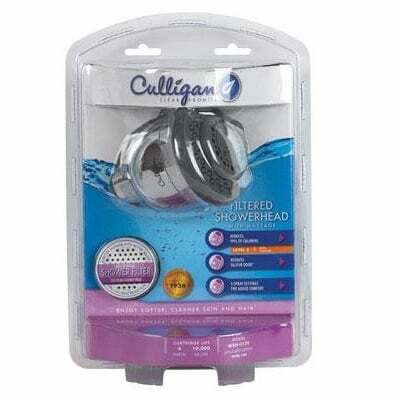 This Culligan shower head filter (WSH-C125) comes packaged with the Culligan WHR-140 shower head replacement filter cartridge (which reduces chlorine, scale, rust, sediment, the odor of sulfur, and other impurities from your shower water) and both are easy to install (no tools required). The package also includes Teflon tape and a water filter cartridge change reminder sticker. This massage shower head comes with a chrome finish and includes 5 spray settings: full body spray, soft rain spray, invigorating pulse spray, full body spray/rain combination, and a full body spray/pulse combination. The rubber spray nozzles are equipped with an anti-clog feature. This Culligan filtered shower head features Level 2 Extra Filtration and reduces chlorine (99% reduction), scale, rust, sediment, the odor of sulfur, and other impurities from your shower water. Recent studies have shown that chlorine in shower water is a major health concern. People absorb more chlorine in the shower than they do when drinking chlorinated water. Excess chlorine in your shower water can cause dry and irritated skin, acne, hair dryness and damage, as well as other health problems in many people. 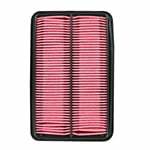 The use of this shower filter will leave your skin and hair feeling softer and cleaner due to its removal of excess chlorine as it helps to protect you and your family from the dangers associated with too much chlorine and other impurities.